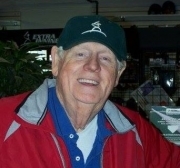 Intercity League Hall of Famer and well known hitting instructor Arthur Hartung passed away at the age of 85 on Wednesday morning surrounded by his family. Arthur was inducted into the ICL Hall of Fame in 2011. Services for Arthur are as follows. His full obituary appears at the end of this post. Visiting hours at the Anderson Bryant Funeral Home, 4 Common St., Stoneham on Monday, October 1st from 2-4 pm and 5-8 pm, and again on Tuesday for his Funeral Service celebrated at 10am at St. Patrick Church, 71 Central St., Stoneham. Interment will be private. “With a heavy heart and a small amount of relief, I announce the passing of my father, Arthur, at approx 3:30 this morning at 85 years of age. His children and extended family had maintained a two day bedside vigil and he was with several of his children when he passed peacefully. He did not invent anything, make millions or become a CEO, but he was in many ways a remarkable man. Generous to a fault, playful, humorous, and supportive of not only his family but our extended family of friends. Our house was the ‘go to’ place in the neighborhood but was also a sanctuary at times for many of our friends growing up. His early days of pro baseball, love of sports and children translated into a sideline as a batting coach and he was responsible for hundreds of kids getting sports scholarships. His schedule as a teacher allowed him to attend all his childrens sporting events and he and my mom were always involved and always our biggest boosters. He was inducted into the Intercity League and Boston Parks League Hall of Fame, played for the Brooklyn Dodgers and Cleveland Indians and would’ve made the ‘bigs’ if not for a re-injury of a jeep accident while on active duty during the Korean conflict. He would lament later in life about not getting his shot at the majors but then we would remind him that if that had occurred ,we would not be there ( I’m not always sure he felt that was a fair trade off!!) He later became a ping pong champion as well. Arthur Albert Hartung, resident of Stoneham for 58 years, died Wednesday, September 26, 2018 at the VA Hospital in Bedford. He was 85. Arthur was born in Long Island, NY on April 17, 1933, only child of the late Arthur Hartung, but was raised by his mother Claire and his stepfather, William Riley. He moved to Dorchester Massachusetts when he was two. A 1951 graduate of Brighton high school, Arthur was an all scholastic selection in both baseball and basketball. One of the pre-eminent hitters of his time, not only in the Boston City League, but also in Greater Boston, Arthur first played professional baseball with the Cleveland Indians organization and later with the Brooklyn Dodgers organization. Pro ball was interrupted when he was drafted and served in the United States Army serving from 1953-1955 as a corporal and medic during the Korean War. During that time he played on the Fort Sam Houston Baseball Team. Following his military service, Arthur enrolled in and obtained his bachelor’s degree from Northeastern University. He went on to get his master’s in education. He embarked on a successful teaching career in Woburn High School for 32 years. Arthur was a feared hitter in the Boston Park League, still holding several Park League records including the longest and second longest home runs and being the only player to hit a home run in every Boston Park League park. He was inducted into the Boston Park League Hall of Fame in 1987. Arthur was a mainstay for the Wakefield Merchants Baseball team and he was inducted into the Intercity League Hall of Fame in 2011. A great player for sure, but Arthur’s lifelong pursuit was teaching hitting to junior high school, high school, and college players. Arthur worked with hundreds of students, and well over 100 of his students went on to play college baseball or softball, several went on to be All Scholastic and professional players. They came from all over to be instructed by Arthur Hartung because he was among the best teachers around. He used his baseball skills to also become the New England Ping Pong champion in singles and doubles for at least 12 years. Arthur and Mary were the number one fans and supporters of their family’s activities, from their children to their grandchildren, attending plays, recitals, and games. They welcomed everyone into their home, and their goal with coaching and life was to steer kids in the right direction. Arthur’s sense of humor most of all will be greatly missed by those he touched throughout the years. Arthur was the beloved husband of the late Mary Jean (Snow) Hartung with whom he shared 45 years of marriage. Devoted father of Ellen Faulconer and her husband Ken of Kingston, NH, Christopher Hartung and his wife Joanne of Melrose, Alison Hartung and her wife Mary of Sandown, NH, Amy Lowe and her husband Robert of Westford, and Andrew Hartung of Stoneham. Cherished grandfather of Adam Faulconer, Nick Faulconer, Janille Hartung, Katie Lowe, Rachel Hartung, and David Lowe. Relatives and friends will gather in honor and remembrance of Arthur’s life during visiting hours at the Anderson Bryant Funeral Home, 4 Common St., Stoneham on Monday, October 1st from 2-4 pm and 5-8 pm, and again on Tuesday for his Funeral Service celebrated at 10am at St. Patrick Church, 71 Central St., Stoneham. Interment will be private. Those desiring may wish to make a memorial tribute in Arthur’s name to the Wounded Warriors Project at https://www.woundedwarriorproject.org/. The Intercity League has announced their award winners for the 2018 season. Bertha V. (Saari) Brickley passed away surrounded by her family at her home in Melrose on September 3, 2018. She was 89 years of age. Bertha was the beloved wife of the late John E.”Buddy” Brickley. Loving mother of John S. Brickley of Haverhill, George M. Brickley & his wife Cindy of Melrose, Matthew D. Brickley & his wife Allyson of Sandy, UT, Andrew T. Brickley & his wife Diane of Hingham, Lila R. Brickley of Woburn, Quintin E. Brickley of Melrose and Raina C. Brickley Heller & her husband Russell of Melrose. Cherished grandmother of John, Sarah, George, Hannah, Charlie, Abbie, Daniel, Sam, Jenna & Michaela. Also survived by many other family members and friends. Visitation will be held at the Gately Funeral Home, 79 W. Foster St. Melrose on Friday, September 7, 2018 from 4:00-8:00PM. A funeral service will be held on Saturday September 8th at the First Lutheran Church-Malden, 62 Church St. Malden at 10:00AM. Interment at Wyoming Cemetery in Melrose. Memorial contributions may be made in Bertha’s name to Dana Farber Cancer Research Institute, 44 Binney St. #1234, Boston, MA 02115 or to Massachusetts General Hospital, 125 Nashua St. Suite 540, Boston, MA 02114. Melrose – Lexington put together its best offensive outing of the playoffs to sweep the Watertown Reds and win the 2018 Intercity League Championship. 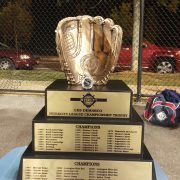 The title is the fourth straight for the Blue Sox, 10th in the past 12 years and 14th overall. This is the second time the Sox beat Watertown in the finals, sweeping them in 2010. Please read the full game story in the featured stories section. Game three of the Intercity League’s Championship Series between the Watertown Reds and the Lexington Blue Sox, can be seen live on Sunday night from Morelli Field in Melrose starting at 7:55 PM. The Blue Sox hold a 2-0 lead in the best of five series. They won game one on Thursday night 4-3 on Dom Zaher’s walk off homer in the bottom of the seventh inning and followed that up with a 6-1 victory in game two on Friday night. The entire series will broadcast by Local Sports Productions with Sam Feeley behind the microphone. Melrose – Dom Zaher blasted a walk-off home run to left and delivered a 4-3 victory to Lexington over Watertown in game one of the finals. Zaher hit Watertown starter Matt Horan’s 101st pitch of the night into the night for his first home run of the postseason. The Reds had their own heroics in the top of the seventh. Ben Johnston doubled off the fence in left to start off the inning. Will Brennan worked a five pitch walk off of Manny Delcarmen and the Reds had runners on first and second with not outs, down 3-2. Delcarmen fielded a come-backer off the bat of Logan Gillis, turned and threw to second, but the Sox could only get the one out, leaving Reds on the corners. Dan Chaisson hit a ground ball up the middle that second baseman Thomas Russo caught and tagged the base for the force out, but again the Sox were unable to get a double play. This allowed Johnston to come home with the tying run. Another ground ball fielder’s choice ended the inning. Lexington had taken a 3-2 lead in the bottom of the sixth on Julian Alvarez’ two-run home run to right center, his first of the postseason. He drove in CJ McKinnint who was pinch running for Richie Burgos, whose single started the inning. All of the scoring took place in the last two innings and the first two innings. The Blue Sox opened the scoring with a run in the bottom of the first. Jeff Vigurs hit his first of two doubles (and three hits) to left with one out. After the second out and a walk to Burgos, Dorian Rojas singled to left to score Vigurs. The Reds answered in the second as they loaded the bases on walks to Chaisson and Sean Callahan that were sandwiched around Jake Miller being hit by pitch. Justin Forman was first pitch swinging and singled into left to drive in Chaisson and Miller for a 2-1 lead. After that the starting pitchers, Horan and the Sox Matt Karis, settled in and held the teams scoreless through the 3rd, 4th, and 5th innings. The only 1-2-3 inning of the game was by Horan in the fourth. The Sox left a runner at third in the third and a runner at first in the fifth. For the Reds they stranded Miller at second (two-out double) and runners at first and second in the fifth. Horan (1-1) took his first loss of the season, regular or post, pitching six innings, giving up eight hits, walked one and struck out five. The last six batters he faced he gave up three hits, including two home runs. The Reds offense had been rolling through the playoffs averaging eight runs and 11 hits a game, was held to its lowest output of the postseason with three runs and six hits. Lexington starter, Karis, was making his first appearance of this postseason. The veteran right-hander pitched 4 1/3 innings, giving up five hits, two walks, and struck out three. Drew Brzozowski relieved Karis in the fifth with one out and a runner on first and got out of the inning. He retired five of the seven batters he faced with two walks. For Delcarmen it was his second win of the playoffs and the first time he was scored upon all season. The teams return to Morelli Field on Friday night for game two at 8:00 p.m.
Lexington – The Lexington Blue Sox squeezed home the go-ahead run in the fifth inning and then held on for the 1-0 win over Alibrandis. With the win the Blue Sox advance to the Intercity League finals where they will play the Watertown Reds in a best of five series that will begin Thursday night at Melrose’s Morelli Field. Aaron Barbosa lead off the fifth with a bunt that was fielded by Alibrandis pitcher Lamarre Rey who bounced his throw past first baseman Gordie Gronkowski and into right field. Barbosa motored all the way around to third base on the error. After an infield out Taylor Ferguson laid down a suicide squeeze bunt that Rey attempted to push to catcher Teddy Dziuba, but the ball went over Dziuba’s head and Barbosa slid home for a 1-0 lead. Ferguson took second on the error. Ferguson stole third during Richie Burgos at bat, which ended in a strikeout. A walk to Dorian Rojas put Sox runners on the corners, but there would be no more scoring. Lexington starter Tony Annino pitched six shutout innings for the win, his first of the postseason. He scattered seven hits, walked one and struck out five and pitched out of trouble all game. The Alibrandis had at least one base runner in every inning but the seventh. In the second they loaded the bases with no outs on singles by Bobby Barrett and Jamill Moquette sandwiched around a walk to Gronkowski. Annino struck out Matt Hendrickson, got Mark Addesa on foul pop up to catcher John Puttress and got Juan Parra on a fly out to left to get out of the jam. In the third, again with no outs, Alibrandis had runners at the corners on a double by Mike Maguire and an infield single by Dziuba. A fielder’s choice on an infield pop up, a strike out and and fly out to center ended that threat. No other Alibrandis runner reached third after the third. The visitors left a runner at second base in the fourth and fifth innings and a runner at first in sixth. In the five games the Alibrandis left 39 runners on base. Manny Delcarmen came in to pitch the seventh and recorded his second straight save with a 1-2-3 inning, the only one of the game for either team. The Blue Sox had one hit through the first five innings, a Morgan Brown single in the first, but had left eight runners on base. The Sox had four walks, a hit batter and a batter reached on an error, but could only score the one run. They stranded a runners at second and third in the first, first and second in the second, at second in the fourth and second and third in the sixth. Dom Zaher and John Puttress had singles in the sixth to put runners at first and second. They each moved up on an infield out, but the Sox could not add to their 1-0 lead. In a series that was grindier then grindy the teams combined for 22 runs and the last three games were all decided by a run. The three one-run games is tied for the most one-run games in a ICL playoff series since 2006. The teams combined to leave 84 base runners stranded, 45 by Lexington. After the first game, a 5-2 Alibrandis victory, runs were hard to come by. Lexington scored 11 runs over the last four games, while the Alibrandis scored four runs. Alibrandis scored in three of the last 28 innings played and were shutout twice by Blue Sox hurlers. The Sox scored in six of their last 27 innings played.